Hey Lugers! We have some pretty helpful enhancements that I am excited to tell you about! These new changes should really help make lead sorting much easier. 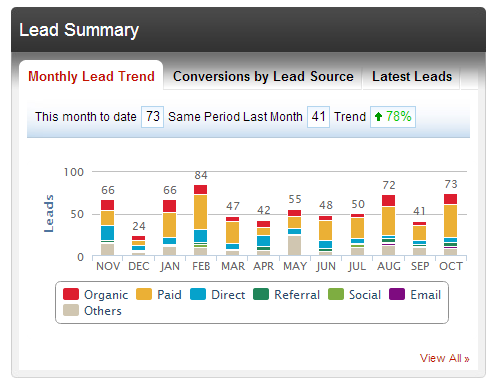 The first change you will likely notice is the Monthly Lead Trend tab. This has been made the default tab in Lead Summary. You can still see your latest leads by clicking the “Latest Leads” tab. 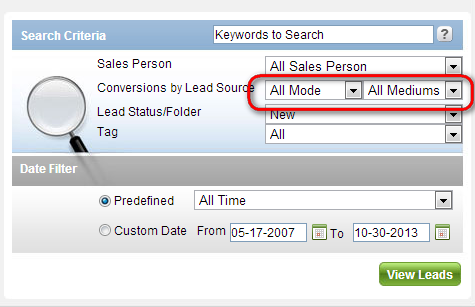 Second, you will notice a significant update to the Conversions by Lead Source tab. Previously just a list, It is now displayed in a way that more easily demonstrates the weight of your online mediums (source types). 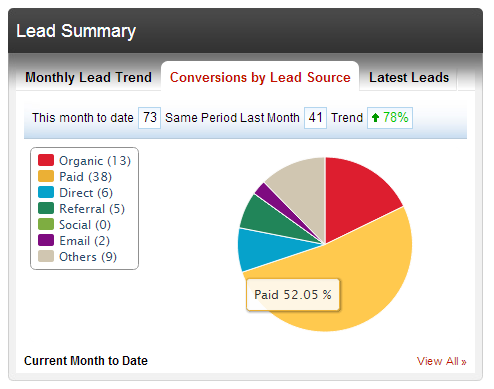 This should paint an excellent picture on what efforts are bringing you the most leads for the month. Finally, it is now easier than ever to search and sort your leads! Within the Lead Bucket search criteria, we now allow for separation of conversion modes and mediums to allow for more dynamic search queries. I’m really hoping these enhancements serve you well, please keep an eye out for more updates in the near future! We have a lot of exciting things happening here. Awesome ! Monthly lead trends looks great.